It is common to use concepts such as purposeless and random to describe biological evolution. Stephen Jay Gould famously describes evolution as a tape which if run over would reach an entirely different result. We are a contingent accident in an impersonal and purposeless world. 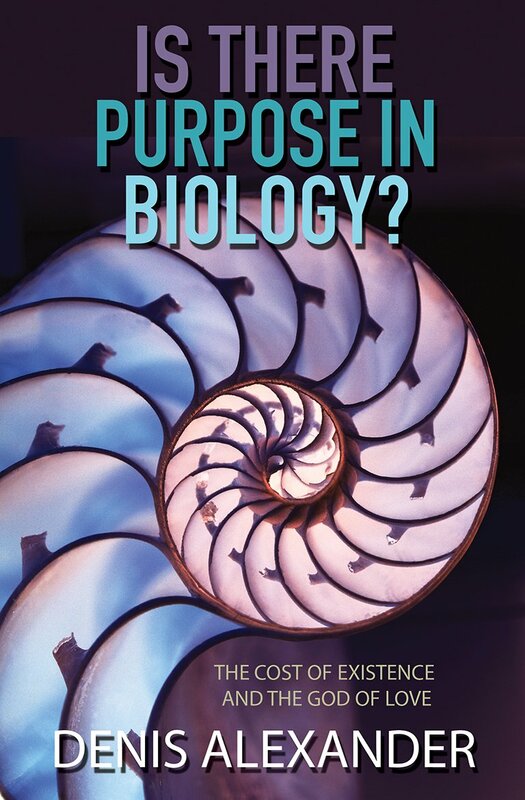 Denis Alexander explores this idea in his new book Is There Purpose in Biology? Purpose and purposelessness are metaphysical concepts that have little real meaning in biology. Yet, we are intelligent reasoning animals interested in such abstract concepts as purpose. This is a marvelous reality. Nothing in the impersonal view of nature requires the development of such as us. Is purposelessness and luck a necessary conclusion of evolutionary biology? Denis argues that this is not the case. In fact there is a grand narrative to our evolutionary history. This narrative is driven by increasing complexity and convergence. The initial lifeforms on our planet were single cells under a millimeter or so in size … for some 2.5 billion years this was it. The great oxidation event between 2.4 and 2.1 billion years ago was precipitated by the development of green photosynthetic bacteria and algae. These organisms use sunlight to split water into oxygen and protons and produce carbohydrates from carbon dioxide. Other energy sources and even photosynthetic mechanisms are possible and found in nature – but this development produced oxygen as a byproduct and set the stage for more complex lifeforms. Multicellular organisms soon followed – presumably precipitated by incomplete separation following cell division and stabilized from the benefits offered by cooperation and specialization. Denis notes that “multicellularity has evolved at least 20 times since life began” (p. 60) This might not have been a rare, and certainly not a one-time, occurrence. Cooperation and specialization provide a running theme in biology as powerful as the themes of competition or predation. The Cambrian explosion of body forms a little over half a billion years ago took multicellularity to a whole new level leading to a broad diversity of life on this planet. The grand narrative of biology is one of increasing complexity. Denis defines complexity as it is understood in biology. Oxygen as an energy source, a diversity of body plans and wide open field for growth. Biodiversity and complexity have increased dramatically over the last 200 million years filling available space. The simple unicellular organisms are joined by a wide array of multicellular organisms including bugs, worms, snakes, fish, birds, whales, cats, and humans in an interrelated biosphere. While we talk of the laws of physics, this concept is less common in biology. But there are laws in biology – scaling laws and the like. These are related to the chemical and physical constraints of the universe and planet in and on which we live. There are only so many paths available. And this leads to a topic that Denis develops at length. Convergence. But the wide open field shouldn’t be viewed as a opportunity for developmental anarchy. Rerunning the tape of life would probably result in something similar to the world we experience today. Details would certainly change – but similarities would be self-evident. Marsupial and placental mammals have independently found the same solutions to similar problems. (Denis has some fascinating examples of this.) A planet bathed in light and dark will lead to the development of eyes as light sensors. Predators and prey benefit from accurate imaging. There are many well studied cases of convergence here – the octopus and human eyes provide one interesting example. The ability to resolve colors – distinguish parts of the spectrum of light – provides a distinct advantage in many cases. The adipose fin of a fish is another example of convergent evolution. The examples are legion. To add more and more examples of convergence could become tedious but enough illustrations of the principle have been provided here to make the point: convergence is a normal part of the evolutionary process and provides striking confirmation that evolution proceeds in an orderly and constrained way to generate biological diversity. Denis concludes his discussion of the grand narrative with cooperation, intelligence and brains. Cooperation in one form or another permeates life on our planet. The ultimate cooperation comes in the behavior of intelligent animals. Among others, this includes great apes and dolphins as well as humans. Intelligence impacts problem solving, cooperation, and the ability to have fun (something we definitely see in animals as well as humans). The increase in human brain size and intelligence provides another example of the tendency toward increasing complexity in biology. Over the last 2 million years or so there was a rapid increase in brain size and the complexity of human society. The Grand Narrative of biology doesn’t prove purpose, but it does undercut any claim that evolution is necessarily purposeless. Purpose and even design is a clear and consistent possibility. You may also comment on The Grand Narrative at Jesus Creed.